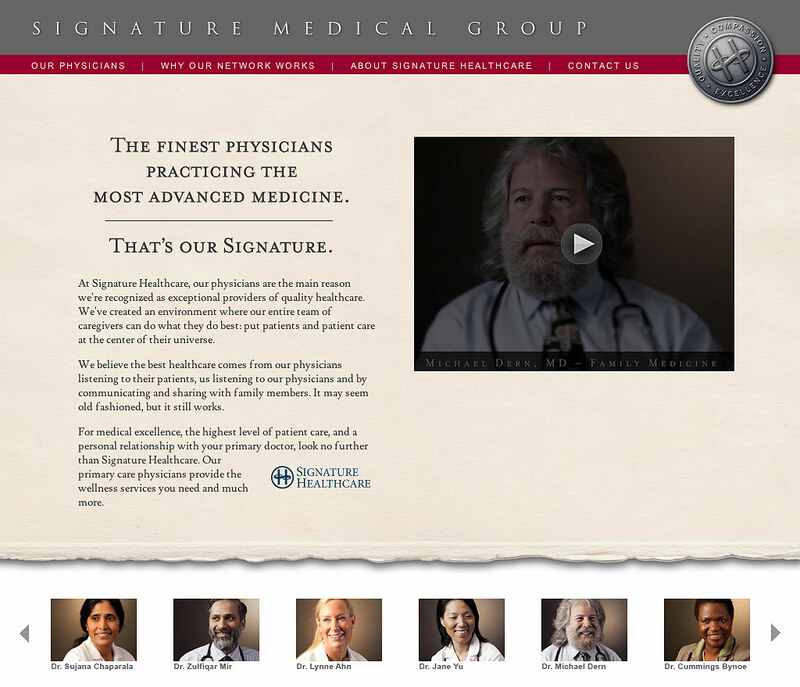 Signature Healthcare, based in Brockton, Massachusetts, came to us to create an online video campaign aimed at retaining and recruiting physicians, as well as recruiting patients. We wrote the questions, did the interviews, and worked with our production partner to establish a look and deliver turn-key videos. The results have been phenomenal.